An arrest for DUI in Los Angeles or any other jurisdiction isn’t a good way to start a new year. But a woman in Oswego, Illinois, found herself in hot water on January 1st thanks to a little too much celebrating on New Year’s Eve. 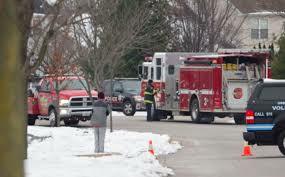 Paula Mason, age 50, apparently lost control of her car and drove over a wall around a retaining pond around 1:45 a.m. Witnesses to the crash called Oswego police to report that the vehicle was in the water. Luckily for Mason, who was trapped inside her vehicle, police responded quickly to the scene. The car was located about 100 feet offshore and sinking. A Kendall County deputy braved the frigid pond temperatures to swim out to Mason, but it took several attempts before the deputy could break out the rear window of her vehicle and pull Mason out. Both the deputy and an Oswego police officer who assisted in the rescue ended up receiving treatment at a local hospital. The hospital also treated and released Mason, but police picked her up right away. They charged her with failure to reduce speed to avoid an accident and driving under the influence of alcohol. Getting Mason out of the car turned out to be the easy part. To get the submerged car out of the retention pond, authorities had to call in the Aurora Fire Department Dive Team. The retrieval effort, which took place in the afternoon of New Year’s Day, required the closure of two streets in the area. We don’t know yet what penalties Mason will face if convicted of the crime. Under California’s Vehicle Code Section 23152, however, aggravating factors such as speeding or a blood alcohol content of 0.15 or above could increase the penalties. But making two police officers cold and wet on New Year’s Day is not covered by the statute.